Well I guess it is about time! 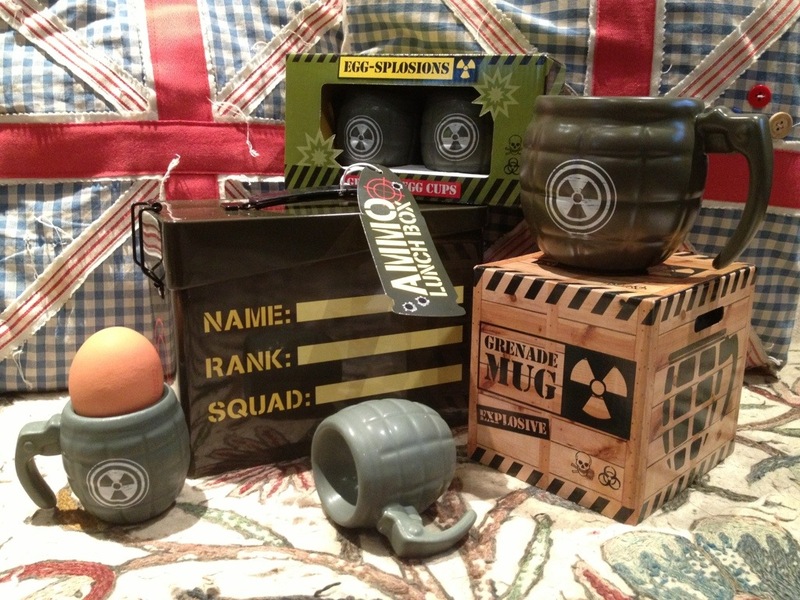 The winner will receive an Ammo Lunch Box, a Grenade Mug and 4 Grenade Egg Cups! The perfect set for any military or WW2 enthusiast! All you have to do is subscribe to my blog,then email me at kvm@email.com telling me why you are so deserving of the prize…the funnier the better! I will pick and publish the winner and their email on 11th October! So get friends and family involved to win this explosive prize!!! Posted in Uncategorized and tagged ammo, ammo lunch box, competition, eggsplosions, grenade egg cups, kitten blog, kitten von mew, kitty Von mew grenade mug, prizes, vintage, WW2, WWII. Bookmark the permalink.